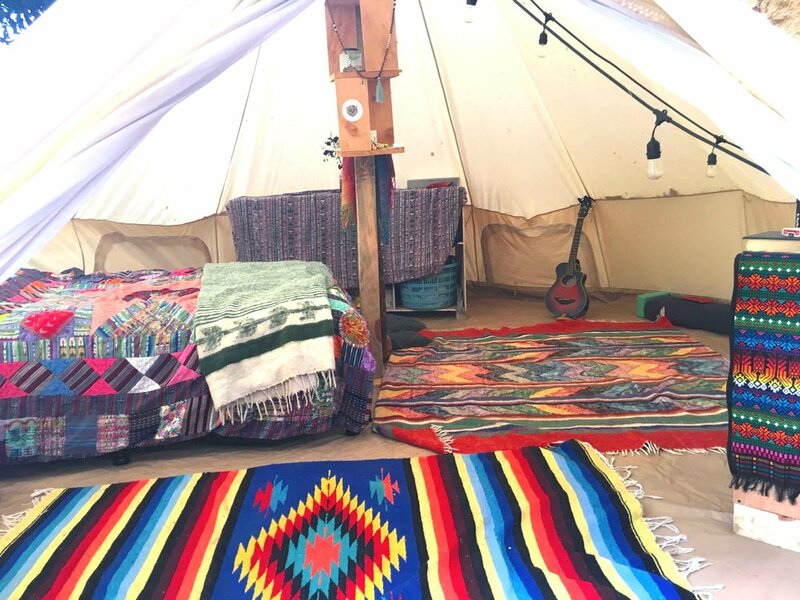 Join Arco Isis Sanctuary’s first residency this November 11/11-12/21 2019! 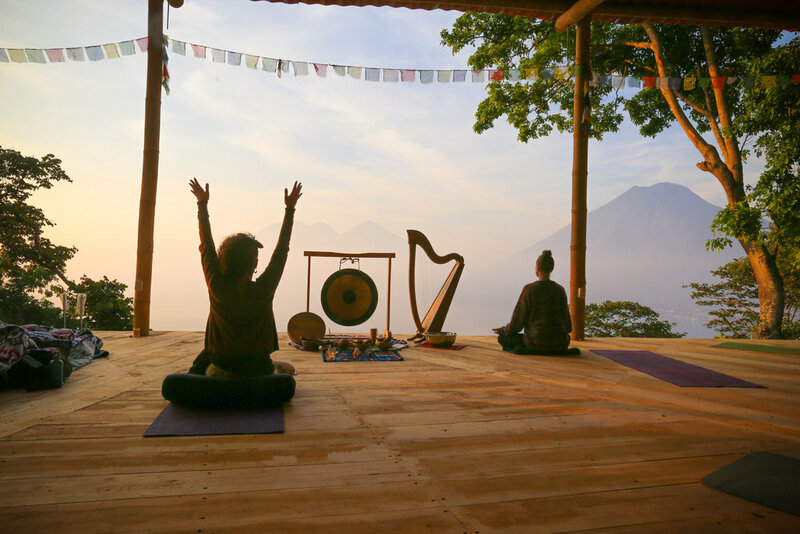 Explore, movement, music, medicine and sustainability on a beautiful mountainside forest sanctuary high above Lake Atitlan! 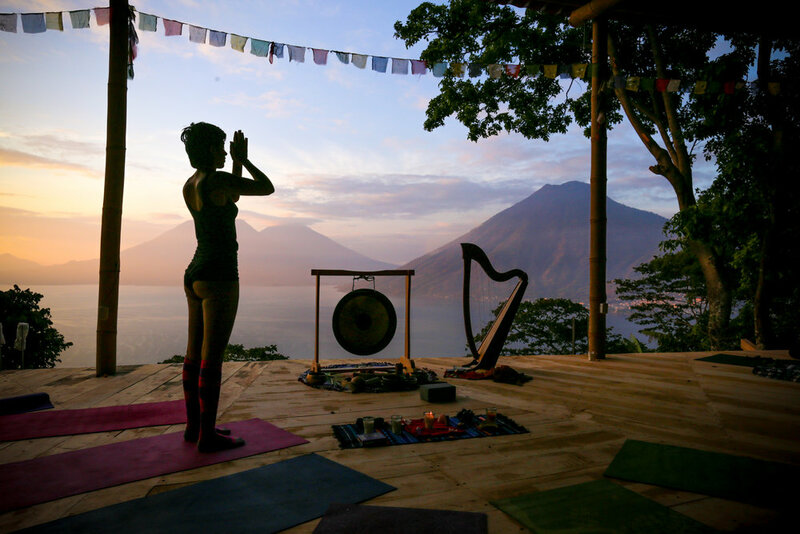 Come live with us in the most beautiful Sanctuary in San Marcos La Laguna! 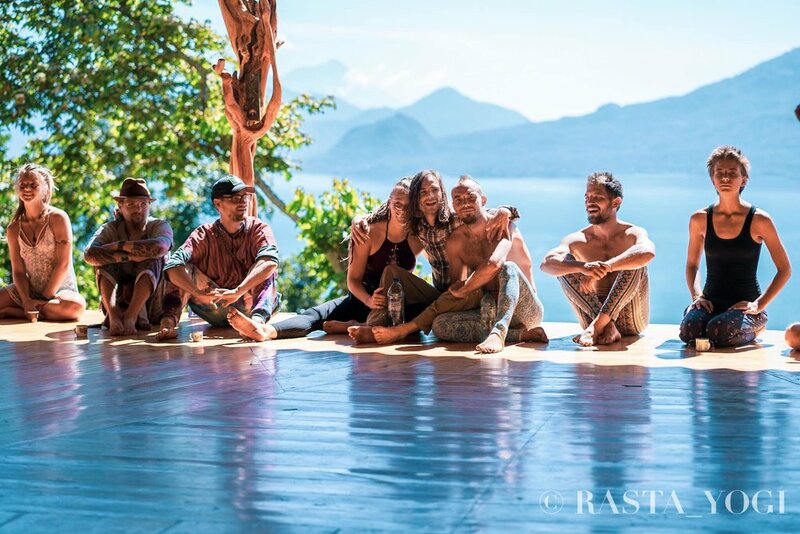 Together we will dive deep into the Source of all Creation, manifest through connection and dance, sound healing and music, Earth practices, high frequency nutrition, permaculture, yoga and energy arts, plant medicine and more! We will live as a temporary community of the New Earth, anchor the vibration of love within our hearts, and live in prosperity from a place of embodied presence. Embodied Presence is the feeling of aliveness, a relaxed and awake awareness we cultivate through various movement arts. Feel alive in every cell in your body! Develop body awareness and slow time into timelessness. Connect through touch, dance, massage and cuddle puddles! 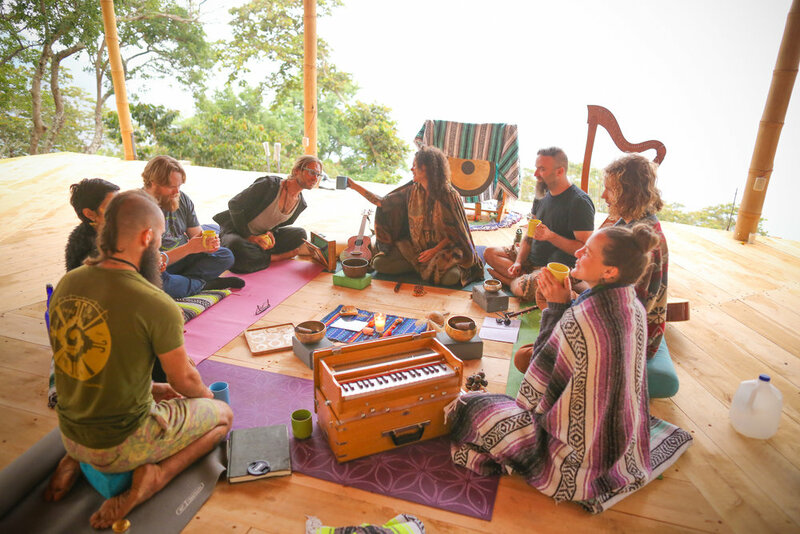 Our Residency features Sound Healers and musicians from across the world dedicated to sharing Sacred Song and healing music of all kinds. 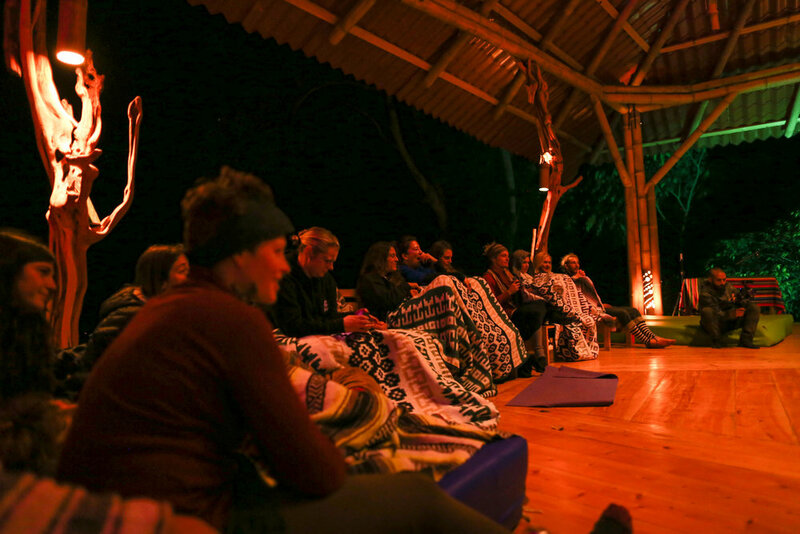 From devotional Kirtan to campfire Medicine Songs, improvisation and live sound/performance/recording opportunities. Arco Isis Sanctuary values deep community. Connection, touch, cuddle puddles and consent! We love supporting each other and holding our fullest authentic expression - all the joy and pain that can be felt in these human bodies! Together we can heal and hold ourselves through life’s waves, clean the heavy loads off of our hearts and shine like the sun! Connection to the land: Here on this fertile mountain sanctuary we can grow all of our own food! Organic Avocados, coffee, peaches, wild tomatoes, and garden cultivated vegetables galore! Learn what to do with this food in the kitchen from amazing vegetarian and vegan Jedi chefs! Barefoot gardening anyone? We Connect back to our source, the Earth and our Food! Apply now! Free to apply, a 50% deposit is needed to confirm your residency! 12 spaces! click to Apply Now! Limited to 20 participants - Apply now! Only 5 spaces available! apply now!